Have you heard of barley? Have you tried it? 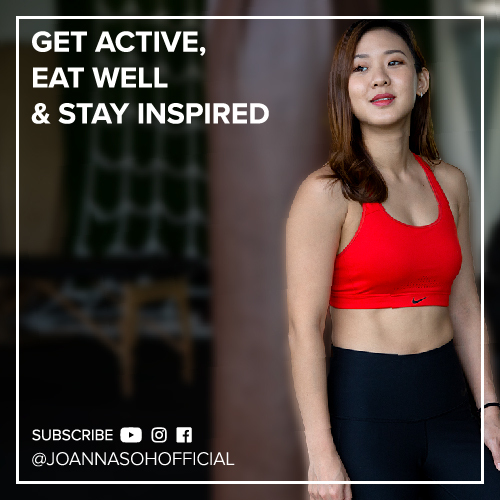 If you’ve watched my “11 High Carb Foods You Should Be Eating”, you’d have learned that this under-rated grain is one of the world’s oldest superfoods, which is loaded with all the essential nutrients. Barley water is an incredible beverage that our ancestors included in their daily diet. Even when I was growing up, I remember drinking barley water almost on a daily basis. Consuming barley on a regular basis keeps your colon and intestines happy, controls blood cholesterol levels, maintains skin elasticity and strengthens the immune system, plus it’s extremely affordable! Barley contains about 62% of dietary fibre, and you’re getting 20 to 25% of your daily fibre in just one serving! The best way to add barley into your diet is to use it like rice, oats or other grains. 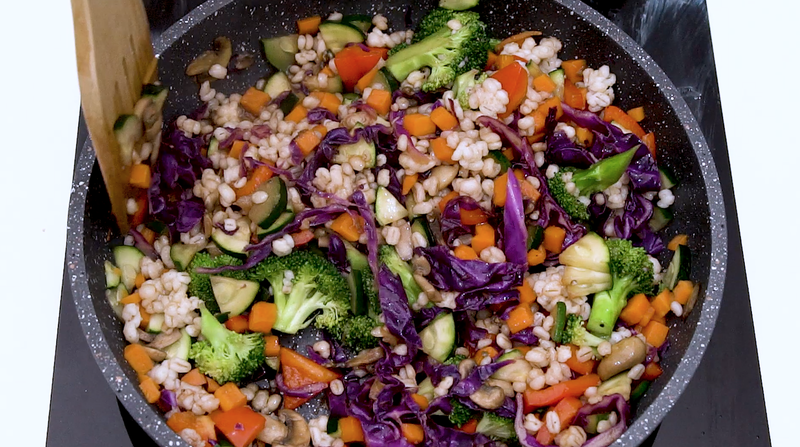 You can make stir-fry barley rice, risotto, barley soup or stew or toss into salads. I’m going to share with you 4 barley recipes to make for breakfast, lunch and dinner. Let’s start with breakfast, we’ve got Barley Porridge on the menu! It’s really simple. Combine barley with ¾ cup of water in a small pot and bring to the boil. Lower the heat and simmer until the water has been absorbed. Pearl barley can take between 20 – 30 minutes until completely soft. Add 1 cup of milk and cook it on low heat until you get your desire consistency. Top the porridge with banana and sprinkle the apricot seeds, chia seeds on top of the porridge. 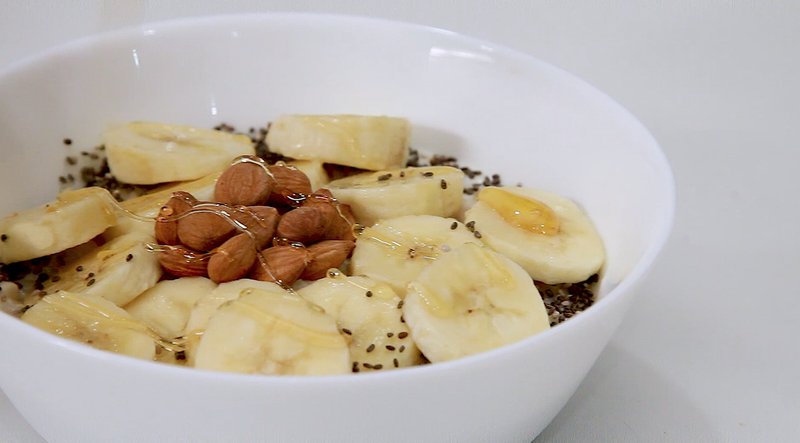 Having a fibre rich breakfast will keep you going till lunch time! Each bowl has about 460Cals. The chewy and tender texture of this breakfast is very similar to rolled oats, plus it’s easy on the digestion. So you can mix it up and replace oats with barley. 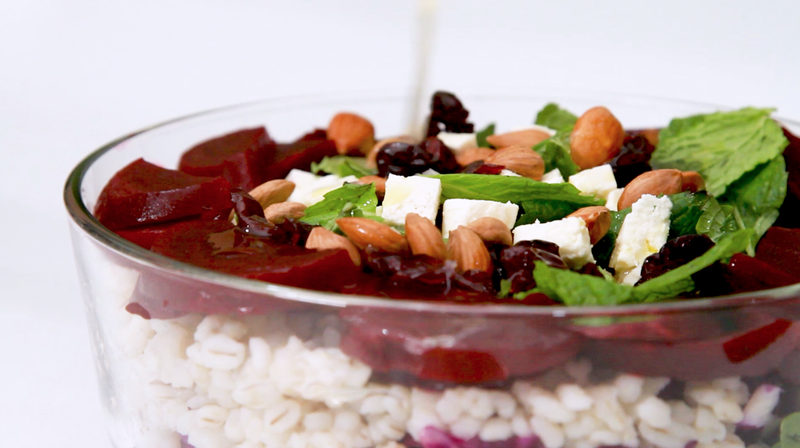 Let’s make lunch, I have Barley Beet Salad on my menu. For this recipe, you can use barley in replacement of rice, quinoa or couscous. Salads are my favourite dish for lunch, because most of the ingredients do not require cooking. All you have to do is to assemble all the ingredients together. Then Drizzle with the Olive oil , Lemon juice and honey and serve. You’re getting the earthy flavour from the beets, combined with the chewy barley texture, crunchiness from the spinach and cabbage and tanginess from the feta cheese. Each serving has about 314Cals. Lunch is all about making your dish, quick, simple, convenient and healthy. 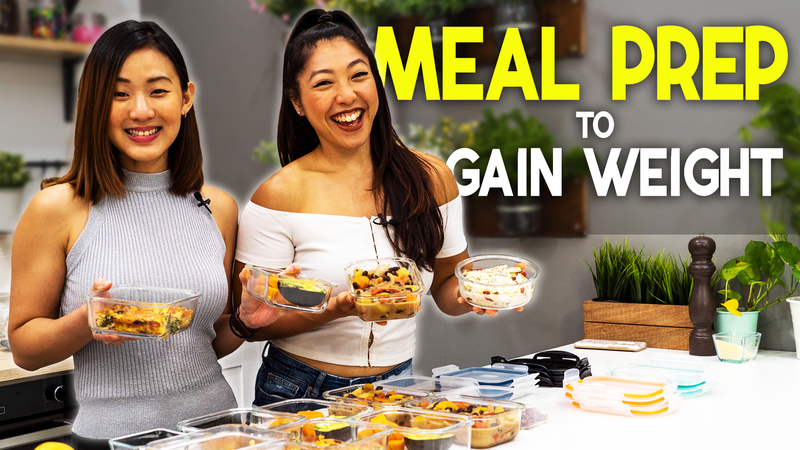 Mix and match your favourite vegetables and pack it out with you! If you have leftover barley, here’s another really quick recipe you can put together for lunch or dinner, Stir-fry Barley rice, without the rice of course. When hot add the oil and garlic, mushrooms, carrots, zucchinis, red bell pepper, broccoli and cabbage, stir fry for 3-4 minutes. Then add the barley, soy sauce and salt and pepper and toss through to combine and warm through. As for dinner, I want something comforting. 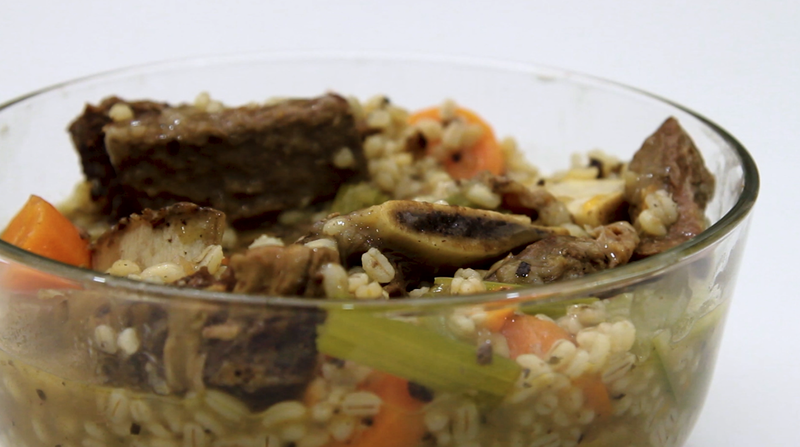 Let’s make Barley with Beef and Mushroom Stew. In a pot, melt the butter over medium-high heat. Add the beef pieces to sear in the pot. Then season with a pich of salt as it cooks. Set aside. In the same pot, add in the onions and sauté until fragrant and slightly brown, just for about 5-6 minutes. Stir in the mushrooms and cook very quickly until slightly tender, for about 2-3 minutes. Then stir the beef back into the pot. Add in 2 cups of water, sprinkle with basil leaves and allow all the beef to gently simmer under low heat under very tender, for about 1 hour. Don’t forget to stir occasionally. Once the beef is tender, add in the remaining ingredients, barley, celery and carrots. Continue cooking all the ingredients until they are tender for another 40 - 50 minutes. Serve warm.